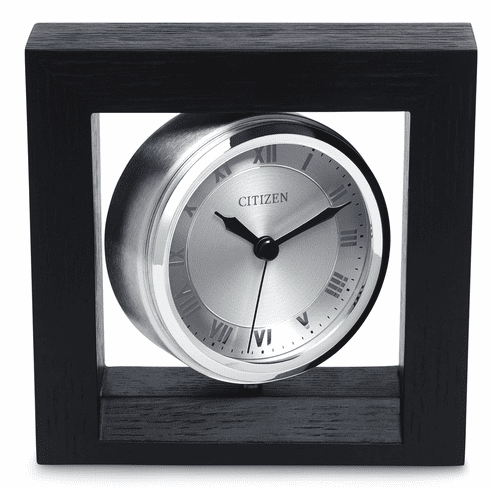 This decorative accent silver tone square spinning clock sits on a black base and features a reversible photo holder encased in a black wooden holder with custom engravable plaque (3" x 0.625"). Quartz movement requires 1 "AA" battery (not included). H: 5.5", L: 6", W: 2"